There are 12 oz. 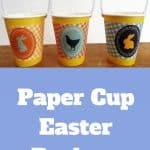 Easter cup sleeves (which also fit 9 oz. cups). And 16 oz. 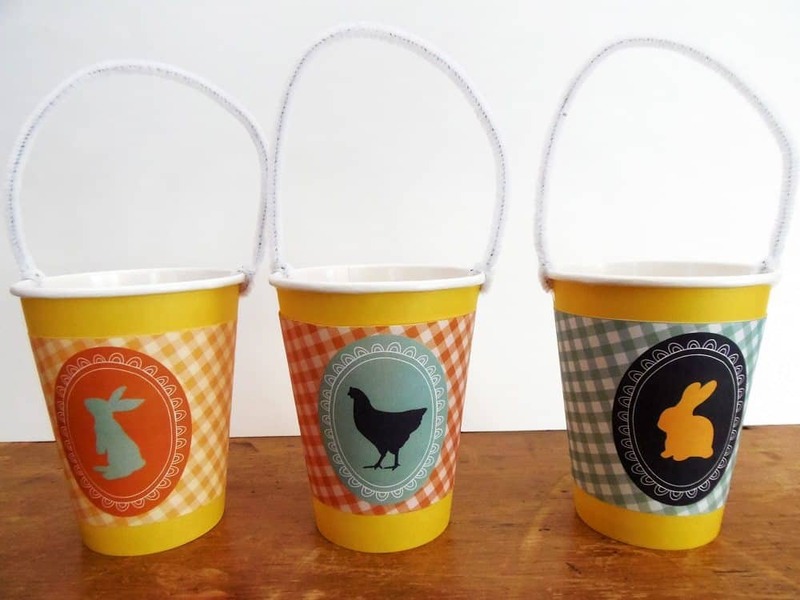 Easter cup sleeves, if you’d prefer to make bigger baskets. Cut the sleeves out, and tape them to the cups. 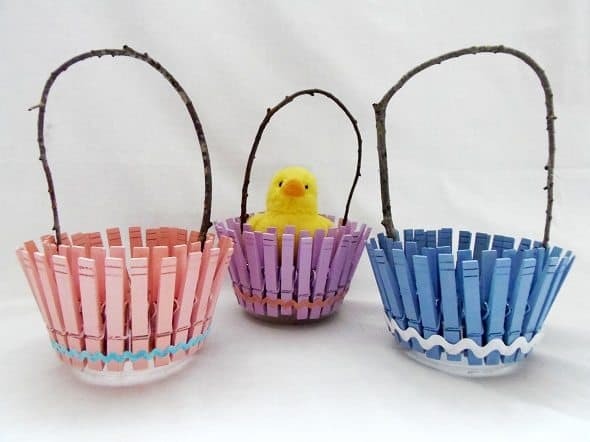 Then, punch a hole on each side of your cups, and thread a chenille stem through them to create the handles for your baskets. 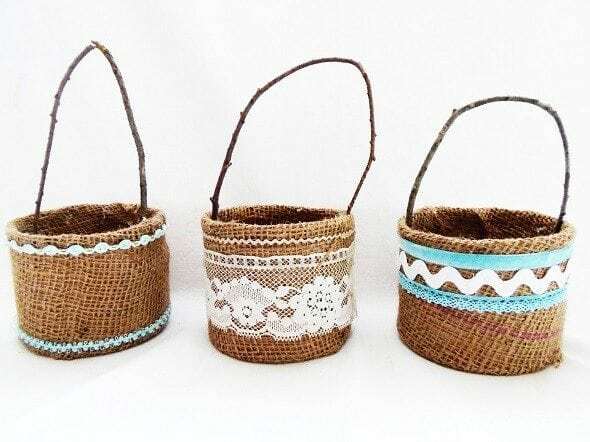 Super cute and easy, too! These would work well for class parties or party favors. 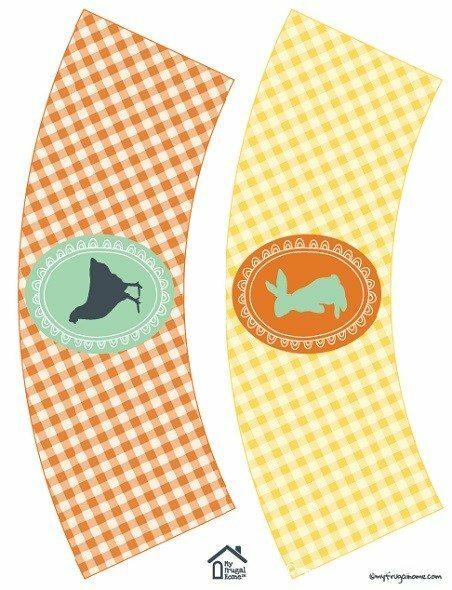 They’d also be really fun to hang on neighbor’s doorknobs for an Easter surprise. Just fill them up with candy and goodies, and you’re all set. 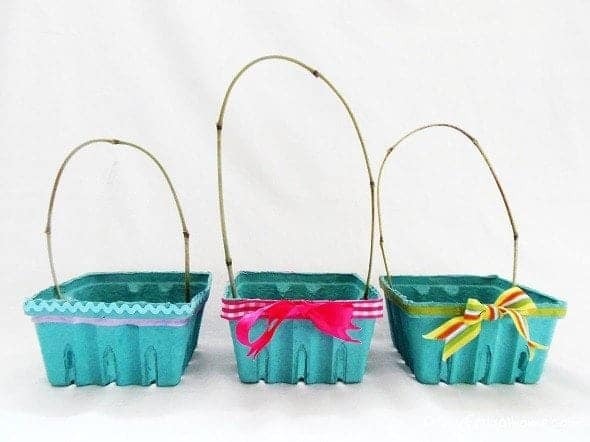 Hosting Easter Dinner? 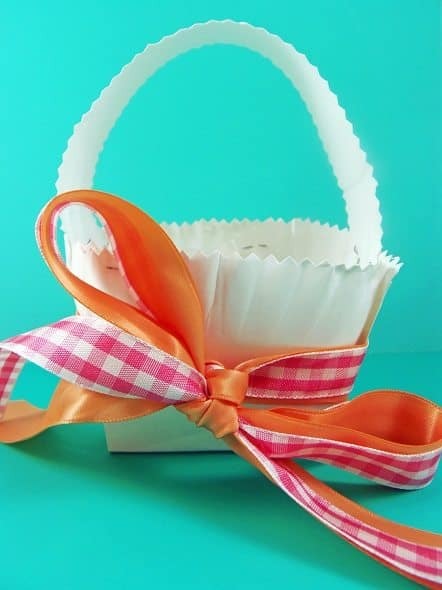 Skip the handles, and use the cup sleeves to dress up plain party cups.